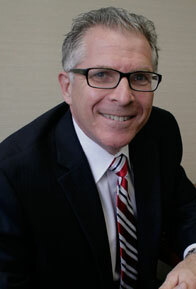 Mitchell L. Goldstein was admitted to the Bar of the State of New Jersey in 1982 and the State of New York in 1989. He received his J.D. from the Villanova University School of Law in 1982, having previously earned a B.S. and B.A. from American University in 1979. Mr. Goldstein began practicing as an associate with Goodman, Rothenberg & Galluccio in July of 1982. He was thereafter associated with the firm of Mandelbaum, Salsburg, Gold, Lazris, Discenza & Steinberg from 1985 through 1996. At that time he became associated with the firm of Kohn & Needle and was a partner in the firm, renamed Kohn, Needle & Goldstein, from 1998 through 2001. In 2001 he became a partner at Lentz & Gengaro, LLP, where he practiced until joining Greenberg & Minasian, LLC. Mr. Goldstein concentrates his practice in several areas of civil litigation. He has extensive experience in representing both plaintiffs and defendants in personal injury and insurance litigation, having tried numerous jury and bench trials. He is also experienced in premises and negligent security security cases. He has significant experience in workers compensation matters. Mr. Goldstein represents claimants and physicians in personal injury arbitration matters and has served as an American Arbitration Association and privately appointed arbitrator in the personal injury field. Mr. Goldstein is also experienced in commercial and real estate litigation as well as real estate transactions. He is experienced in regulatory matters involving liquor license transfers. He regularly represents owners of commercial and residential real estate in landlord/tenant matters. He previously served as a member, vice chairman and chairman of the District VA Ethics Committee between 2008 and 2012, appointed by the Supreme Court of the State of New Jersey. Mr. Goldstein has twice served as President of the Pine Brook Jewish Center, Montville, New Jersey, most recently from 2013-2015.